I was recently invited to comment on the amazing PBS documentary, Good Fortune, including the point of view of the Kibera News Network who watched the film with me. This is a beautifully filmed and highly personal documentary about the drawbacks of the slum upgrading project in Kibera and an agricultural development project in Western Kenya, and I’d love to hear what others might have to say about it. You can view the movie online here if you live in the US. You can also see the first installment of KNN’s follow-up reporting on the slum upgrading project here – if you live anywhere that allows Youtube. I’d strongly urge the filmmakers to make this film available in Kenya, online, for free – what is the point if Kenyans themselves cannot view, comment, and discuss? I myself have a copy in case anyone wants to borrow it. Also fresh off the press is an article I wrote on the early stages of Map Kibera called “Putting Nairobi’s Slums on the Map“, in the World Bank’s Development Outreach magazine. Something pretty amazing is happening in the dusty concrete rooms of our partner, KCODA. It’s been about three months since we started working with 17 Kibera youth on the Kibera News Network (KNN) – an online “TV channel” for local stories and news about Kibera. They had no video experience and very little computer experience, and faced daunting challenges like lack of internet access, frequent power failures, slow computers, rampant viruses, and poor software – not to mention being nearly attacked for attempting to record subjects like a woman being beaten and looters on an overturned train. But they’ve now uploaded more than 20 short videos up on KNN’s Youtube channel, using Flip cameras and other supplies donated by UNICEF and computers at KCODA, and the new community journalists are posting more every week (or rather – giving them to me to upload, as we all wait for hallowed arrival of Safaricom wimax). The purpose of KNN is to provide a means for Kiberans (mostly youth) to become citizen reporters of their community – sharing stories using Flip cameras and posting them online. The stories are also mapped on Voice of Kibera, and contribute to our broader goal of empowering communities to share and generate their own information. The news they report isn’t usually covered by other sources, so it’s a valuable community resource. It’s not meant necessarily to professionalize them as reporters, but to engage as many youth as possible in engaging with their community in this way – though those who enjoy it could certainly pursue journalism or videography careers. Recently, we’ve been working on some important topics. One team reported on the recent slum upgrading in Soweto East; another on electricity disconnections. Riots have been covered alongside events promoting the draft constitution and a visit by Arsenal football coaches. A recent video on male circumcision has touched on a controversial topic and attracted a lot of views . I’ve watched the group evolve over the past few months. We started with five teams of 3 or 4, meeting once a week. Some of them asked if they could come every day to learn as much as they could. 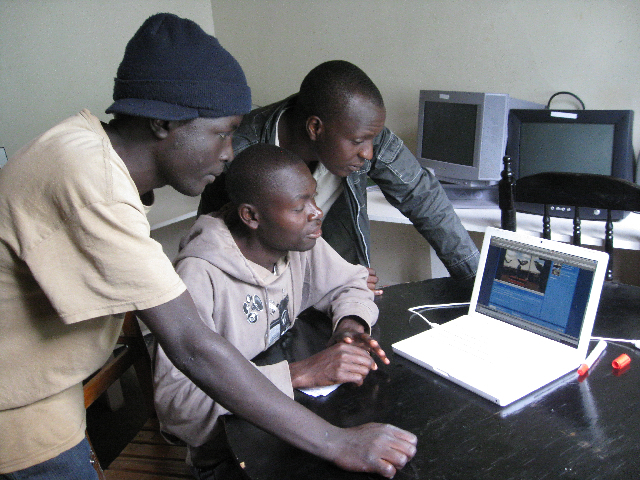 Luckily, the KNN leaders – two young Kiberans who are already skilled in filmmaking – were happy to hang out at the KCODA office, making use of the computers and help the students edit their pieces. Steve and Jahdi are also learning how to lead and support their peers. Rather than following a traditional training model, it’s more like a youth group – peer education and management. This sometimes means that things get a bit messy. We lock our cameras and have one of the KCODA staff, also a KNN member, sign them in and out. Any lapse in procedure can be a big problem – we had a scare when one Flip cam went missing for about a week and then “mysteriously” reappeared after prolonged debate in our weekly meeting. In order to prevent such things, I think that a sense of group identity and ownership – this is our place, these are our resources – is key. This is already happening – within each team they are keen to weed out those who aren’t “serious” and find new recruits themselves. So the group has become self-regenerating. The 17 or so we have now are not all from the original group – we’ve had to do introduction sessions for new students. One of the most striking things about the project is that so far it’s purely voluntary, including the trainers – except for lunch on meeting day. If you know Kibera, you know that very few people do anything for free, unless it’s really important to them. The group has pushed me to spend far more time on this than I anticipated, keeping up with demand for new skills and managing this growth spurt. They do get access to the computers and cameras and training, and I think the skill building is clearly a benefit. However, in the long run, we’ll have to think more about how to help them to raise their own funds for the project. There are luckily some opportunities locally, like A24, to market clips and videos, so I think they have a chance. But I’ll have to write a whole separate post to cover the topic of paid vs. unpaid community journalism. As with OSM mapping, citizen reporting is different when you’re not wealthy. I’m just hoping to create chances for those youth with something to say, to have a chance to say it. They think it’s exciting to see their work online, but are also interested in making sure the rest of Kibera also gets to see it. On July 17th, they’ll have a local debut – showing a few clips at the start of a documentary someone else is bringing to Kibera. In the midst of all this, we’ve managed to recruit some great volunteers in both tech and journalism (though we’re still looking for a longer-term intern!). Now, I’m interested to see how the introduction of the internet at KCODA will impact KNN. KCODA is in process of installing full-fledged computer lab, and they already let KNN use 2 computers full time. The students will be able to upload themselves, and thereby become more like the citizen reporters we’re now used to in the US. But their relationship with the internet is different – it’s not something second-nature and constantly at their fingertips, it’s a prized commodity and valuable resource. We’ll see how things evolve once this resource is more accessible. Cross-posted from Map Kibera blog. I recently published an analysis of Phase One of Map Kibera on the IKM Emergent program wiki, giving a detailed account on the The Story of Map Kibera. This is probably the most straightforward and comprehensive review of what we’ve done, and the challenges we’ve faced. The IKM Emergent wiki is a project of the Institute for Development Studies at the University of Sussex knowledge management program. Tremendous resource here, including similar reports from some of our friends. And if you happen to be in Brighton on June 22, Mikel and I will be there to present Map Kibera at IDS. 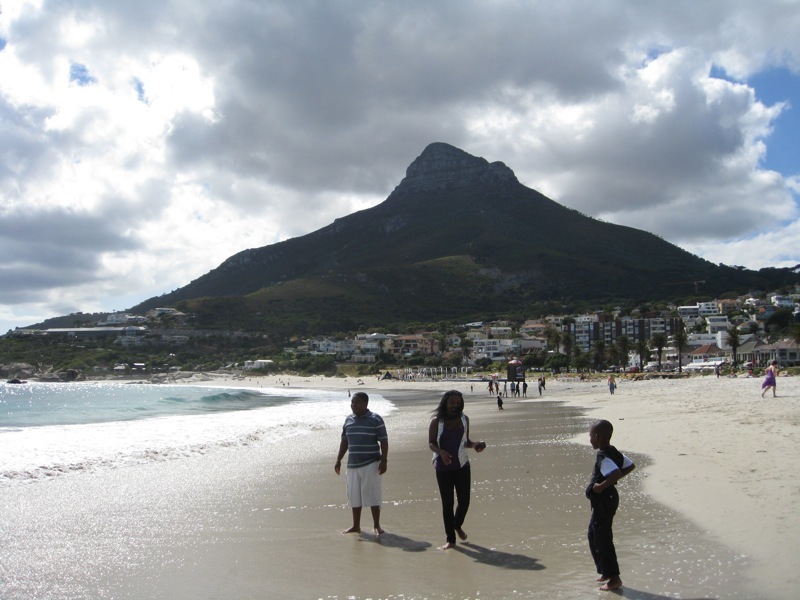 I recently attended the World Bank Innovation Fair in Cape Town, South Africa. It was an interesting assemblage of people working around the world on projects ranging from conflict mapping to social issue reality TV shows. Many involved technology, but a fair amount did not – innovation can come in many forms. The conference was meant to last only two days, but due to a certain volcanic ash cloud, the informal after-conference lasted up to a week for some. In fact, I’m not even sure if everyone is home yet. Getting to know your colleagues off-Twitter from a variety of sectors is invaluable, and this crowd wasn’t made up of the usual conference-goers since 30 of the project leaders (including us) had won an online contest in order to be chosen. In fact, due to an abundance of strictly timed elevator-style presentations, much of the conference felt like cross between American Idol and an industry trade show, with everyone hawking their newest invention to age-old problems. Even when some of them seemed to fall apart upon closer inspection, I was impressed by the spirit of invention – dare I say, a DIY mentality? (Innovation is a nice word, but why not invention? The inventor conjures a half-mad genius in the lab, an Einstein, an Edison, who, fueled by the mad drive to create, finally produces a light bulb). Many of the attendees had obviously come with the hope of convincing the judges (er…World Bank) to finance their experiments. It was a long shot. I had a moment of recognition that this is the best place to be in what has become the mega-industrial aid and development complex. I’d rather be around 30 creative inventors pitching their ideas with vigor (even if 29 of them never succeed) than 3000 executives at the next Global Conference on a Big Issue. It is those who take a chance on an idea and run with it who command my greatest respect. This is not coincidentally thanks to my experience of the difficulty of actually bringing an idea to fruition! That would be my only caviat: ideas are great, but talk to me after you have actually tried it out with real people. – Reconstructed Living Labs: – Using social media to reform lives; plus they use MXit to do counseling and they all blog on their phones. They’re highlighted in this video: (otherwise: warning, very cheesy conference video). – Hibr: – Lebanese youth newspaper and online independent citizen media. They also want to create a traveling media lab out of an old bus. – Armed Conflict and Location Event Dataset: Mapping armed conflict, including ground research to determine who is doing what. – Voices Beyond Walls – Palestinian youth media and mapping project. 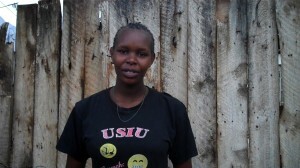 – Voices of Africa: Nairobi-based project of solar-powered rural internet kiosks. – UNDP Threat and Risk Mapping: Makes use of participatory mapping to determine local needs, and plan for village development in Sudan. Not sure if this is shared, public information though. There are many days like today in Kibera. I went down to KCODA early today to pick up video clips, and ended up staying for hours with students from the nascent Kibera News Network : helping add voice over audio clip to a completed piece, realizing that we were editing the wrong clip, converting a mysterious file type into one compatible with our software (this never succeeded), transferring materials via my flash drive (a rare commodity) from one computer to the next, and then suddenly – the power went out. And then, it started to rain, hard. So we all sat in the dark office and watched the rain, our day suddenly stopped in its tracks. Julius, the KCODA director, about to leave for lunch, us about to finish editing some video, and then – nothing but the sound of the rain, nowhere to go, nothing to do. I had started out the day rushing around trying to accomplish things without success: getting my computer repaired, exchanging my new USB plug-in modem for one that works. These tasks had also failed, and now, watching the rain pour down harder and harder onto the mud streets of Kibera, I had to just give up. And wait. I often think that in Nairobi, things work just well enough to make it frustrating. You expect the power to stay on, you expect the computers to function, you think your new Orange modem will work with your Mac. Everything functions at breakneck speed, until we’re reminded (much like the lesson of the Icelandic volcano ash, I think) that it all really hangs on a thread and nature, bureaucracy, fate, malice, just plain traffic jam can pull it down at any moment. In fact, the Friday afternoon traffic jam today was standstill, given the rain. Oddly, no one else seemed to be looking at it. But what wonders a natural wonder can do for you after a week of struggling with community technology.